Directions for Addition Cover It! 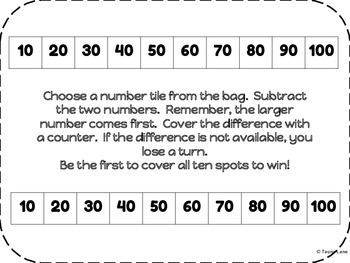 Choose a number tile from the bag. Add the two numbers together. 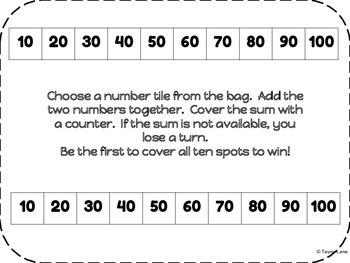 Cover the sum with a counter. If the sum is not available, you lose a turn. Be the first to cover all ten spots to win! 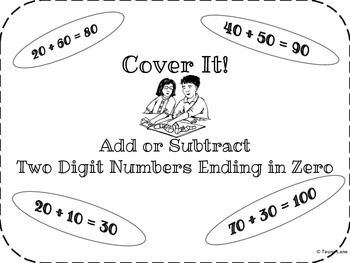 Directions for Subtraction Cover It! 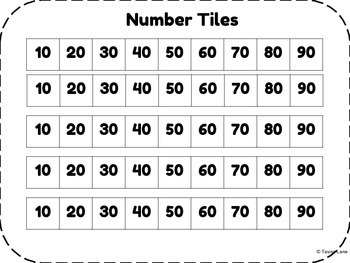 Choose a number tile from the bag. Subtract the two numbers. Remember, the larger number comes first. Cover the difference with a counter. If the difference is not available, you lose a turn. Be the first to cover all ten spots to win!